Are you feeling overwhelmed? Struggling with stressful transitions in your life? Do you have mood swings or anxious thoughts? Then I can help. 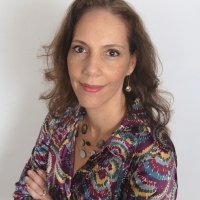 I am a mental health counselor licensed in the state of Florida with over 20 years of experience as a psychotherapist. I have worked with a wide range of mental health concerns and specialize in mood, anxiety and stress management as well as healthy transition and adjustment. As a solution-focused therapist, my goal is to help you uncover your true potential and have your life be as fulfilling as it can be. I work together with you to understand and resolve challenges by identifying and addressing ineffective behavior patterns or perceptions that may be holding you back from experiencing the kind of life you'd like to enjoy. If you're looking for extra support and guidance through a challenging situation or you're just ready to move in a new direction in your life, I look forward to providing the support and guidance you're looking for and in that process help you to achieve your goals. For more information about me feel free to visit my website at www.SherminDavis.com. Would you like to write a review for Shermin Davis? We'd appreciate if you can spend a couple of minutes to write a short review for Shermin Davis (LMHC, MBA). This review would be shared with Shermin Davis. It may also be posted in our website or in Shermin Davis's profile but it would be anonymous and your identity would be kept completely confidential.